The Lagos Theatre Festival (LTF) 2018 is set to hold from February 27 till March 4, 2018, in Lagos across various venues with a focus on presenting innovative interpretations of new ideas that will inspire and challenge audiences, and new works that will spark conversations and debates. It has ‘Theatre in Unconventional Spaces,’ as the theme. Lagos Theatre Festival was conceived and launched in 2013 by the United Kingdom’s cultural organisation, British Council, inspired by the need to provide a platform for theatre-makers in Nigeria to produce works for unconventional spaces and develop audiences for theatre productions. 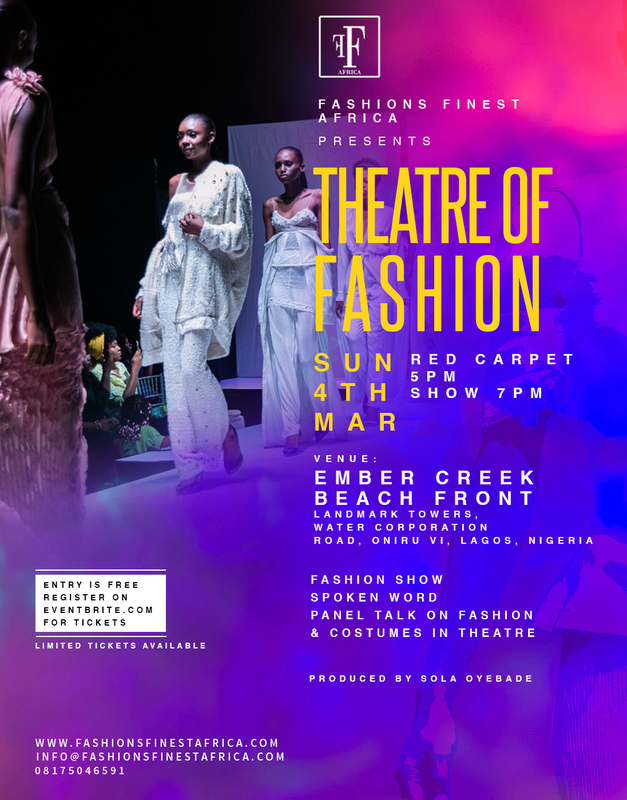 This year, Fashions Finest Africa in conjunction with the British Council & Lagos Theatre Festival will be presenting the ‘Theatre of Fashion’ show taking place during the Lagos Theatre Festival on Sunday 4th March at Ember Creek, Victoria Island, Lagos at 5pm. This particular show is designed to be a blend of fashion, costuming and of course, theatre. This is to enlighten as well as entertain the lovers of the arts, fashion, and promote this integral area of theatre. 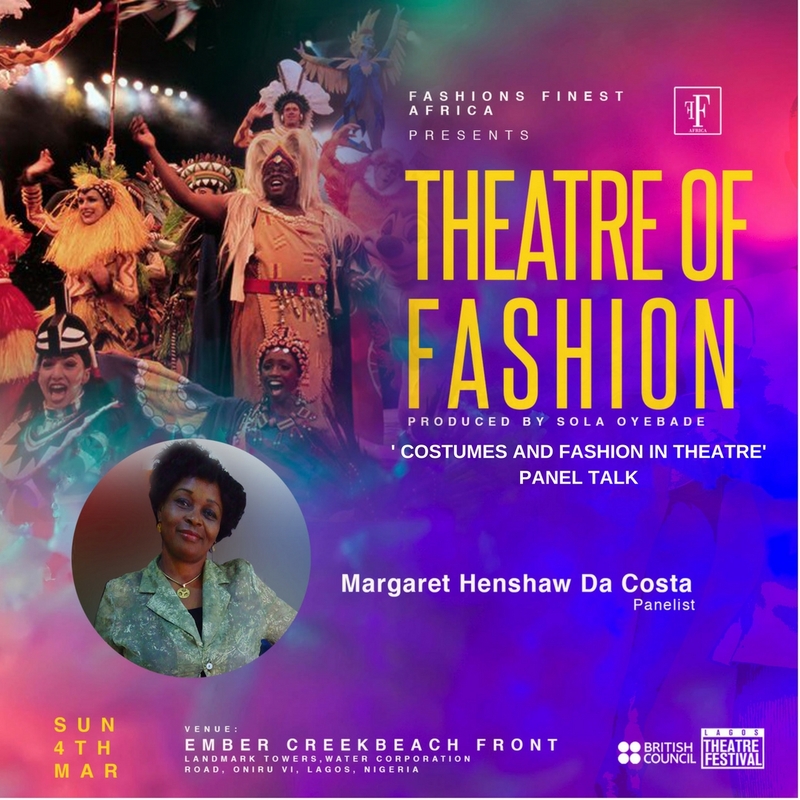 Four amazing costumiers will feature as panellists at the event showcasing their works and speak about the theatre world. Ituen Bassey is the innovative Nigerian Designer behind the multi-award-winning label ‘ItuenBasi’. She is a Theatre Arts graduate from the University of Ife in Nigeria. She trained under Theatre Art ‘greats’ like Wole Soyinka, Yemi Ogunbiyi, Kole Omotosho, Femi Euba and Chuck Mike. Ituen later majored in Tailoring and Clothing Technology at the London College of Fashion, UK. In 2009, she launched her first full home-based collection to critical acclaim and pioneered a new era of Ankara interpretation in Nigeria and Africa. In its 4 years, the label has been featured in Vogue Italia, British Vogue, Elle (South Africa), Ebony and Pride magazine, amongst other international press. The label has shown on runways in Dakar, Milan, Paris, London, Vienna and Johannesburg (where the label was awarded Mercedes Benz Designer of the Year, 2012).In addition, Vogue Italia invited Ituen Basi to take part in Pitti (Milan) trade show under their SUPER Talents. 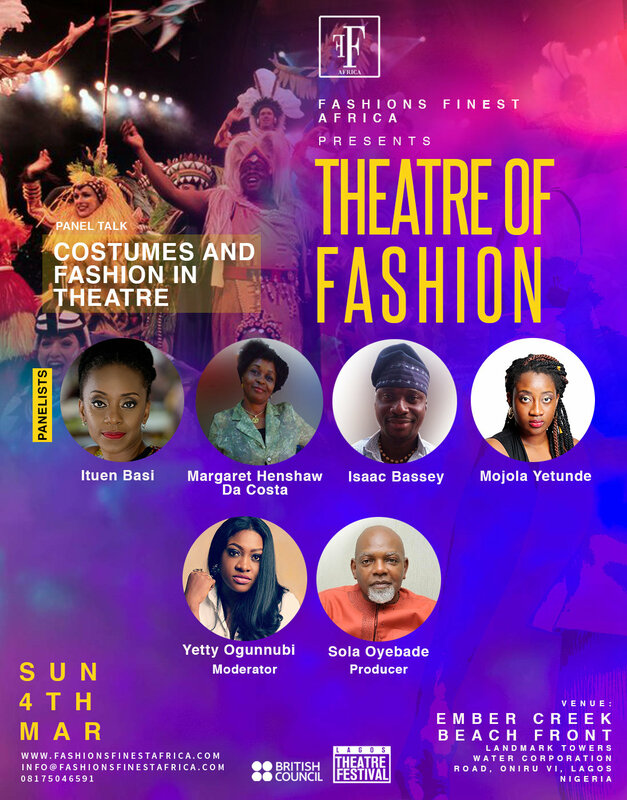 Being part of the Theatre is a major devotion for Ituen Bassey; she has made innovative costumes for stage plays like, For Coloured Girls 2011, Kakadu the Musical 2013 and Hear Word, the stage play 2014. 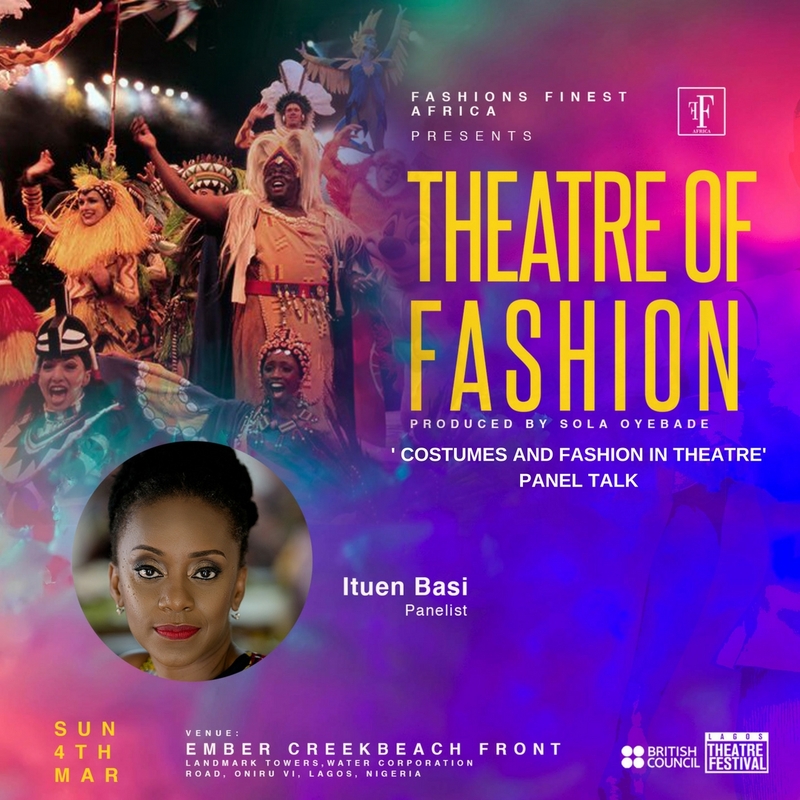 Also, Ituen Bassey was invited to be on the panel of the Stanford Business Forum, as a speaker in April 2014 and in February 2014, she was a panellist at the Fashion Africa Conference in London. Margaret Henshaw-Da Costa’s career started in the 80’s where she worked in the Centre of Cultural Studies at the University of Lagos. Over the last 30 years, she has worked on both local and international stage and featured as an Actor, Dancer, Choreographer, Theatre & Carnival Costume Designer and Production Consultant. Her versatility has enabled her work with several production outfits and veterans such as Fred Agbeyegbe’s AJO Productions, Ben Tomoloju’s Kakaaki Troupe, the Late Christiana Essien Igbokwe, Epiphanio Farofa (dance troupe), UNILAG Africarribean Carnival, Wazobia Carnival, to mention but a few. She is currently the Creative Principal Cultural Officer at the Department of Creative Arts, University of Lagos, Akoka. Mrs Da Costa has a costuming brand called Magaret Henshaw and if you ask anyone, you’ll hear that she is simply a delight to work with. ISAAC BASSEY is a widely travelled costumier who specializes in carnival costumes. 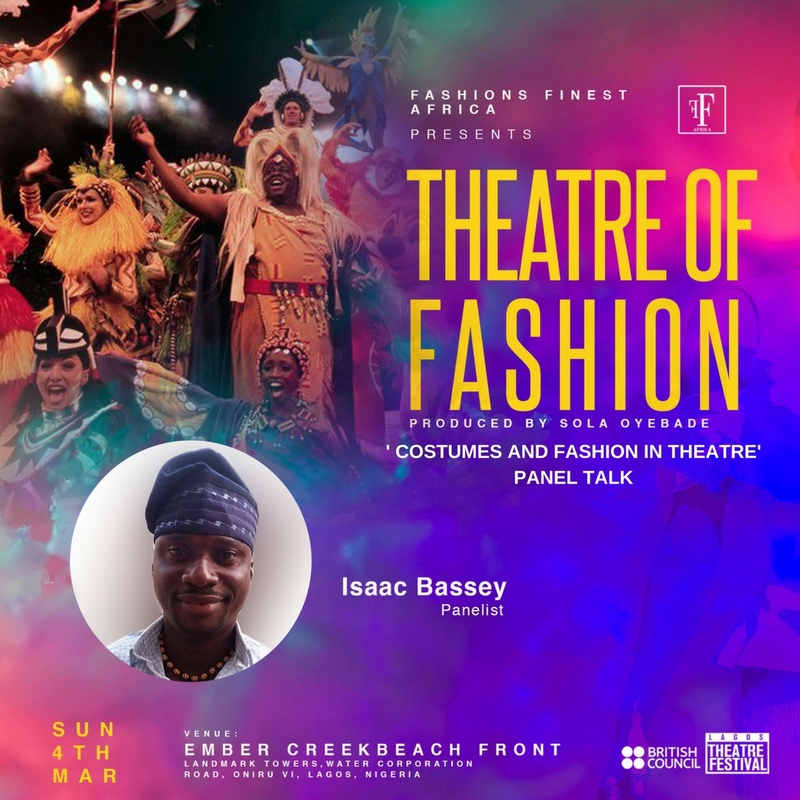 Isaac, who had a stint with costuming at The Departments of Theatre Arts, University of Calabar, moved to study proper costuming in Doki, Egypt and Trinidad and Tobago. He has since costumed numerous stage plays, T.V series, weddings, festivals & carnivals. Some of his costuming credits include; The International Drums Festival, (Cairo, Egypt), CARNIRIV (The Port-Harcourt Carnival), The Calabar Carnival, Ogwash Carnival (Delta State), Confluence Carnival (Kogi state), Wazobia FM Carnival, Lagos, Africaribeanna Carnival, (Unilag) , and a host of others. He currently heads the Artistic Management Affairs Department of Udo Marriam Theatre Company. He is also the CEO of Zikky’s Creations, a costumes outfit. 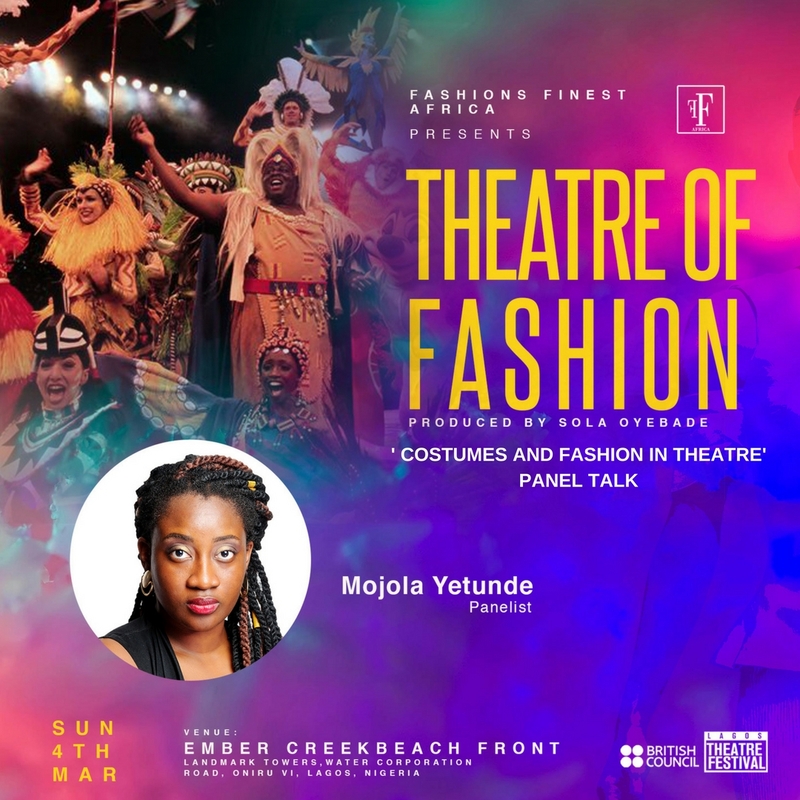 Yetunde Mojola is a Nigerian costumier with over 8 years of experience in the field. She has a flair for detailed, thematic and artistic costuming which is greatly influenced by dance, movement and nature. She has served as lead costumier on a number of productions/performances and assisted on some. Yetunde currently serves as MD /Head designer at COSTUME SHOP. Costume Shop is the leading costume company in Nigeria and caters exclusively to all things costume related.